It’s not just a silly title! 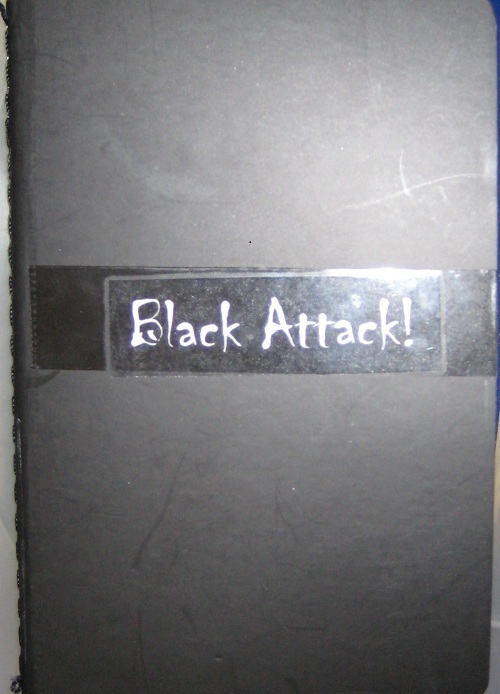 It’s a BM Journal about the color Black. It’s the eighth in a series of 10 journals on color that I’m starting. Please draw, paint, attach pictures and write to journal your ideas and stories on the color black. Is it your favorite color? What are your favorite black things? Please take as many pages as you want but don’t alter the work of anyone else. Please make your entry and relist within two weeks. If you don’t mind relisting when you receive the journal (in order to speed the process up) please do.